Information is conflicting as to how many photos a Nepal Passport application requires. some people come in insisting they only need four. However should you require five and only take four we will be unable to supply you with a matching 5th image at a later date so you will need to start again. 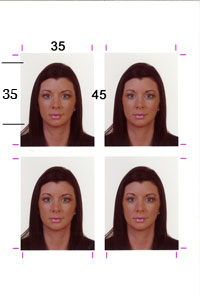 Nepal Passport Photographs are NOT the same specifications as standard UK ones as the head size is slightly larger.